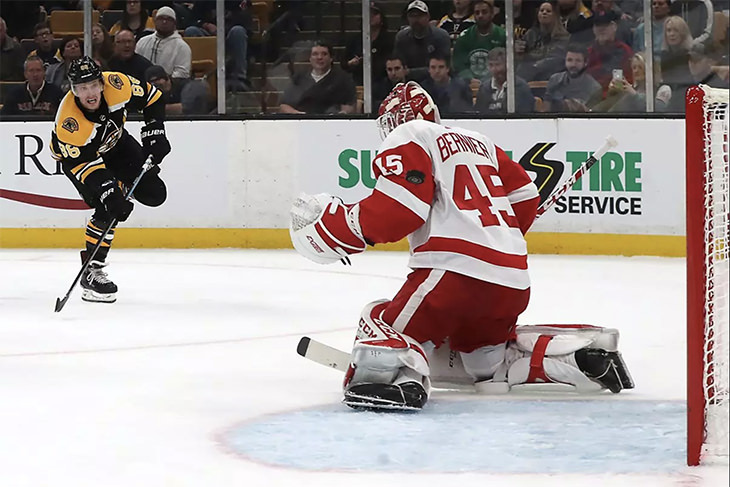 Quiet from the onset, the Misconducts finally made some noise on Saturday, David Pastrnak connecting on three of his four shots, the 22 year-old second round draft pick contributing 9.0 of his team’s beefy 21.6 points. The Misconducts outgunned the Wild Ducks on Saturday but the damage was minimal, the Ducks still leading by 10.6; a three-game Sunday the lone day standing between GM Collard and his second win of the season. Scoring from all five corners provided the Central Red Army with the best Saturday total, the Army and their league-best 22.0 points now leading the polarized Bears by an insurmountable 22.5. Seemingly on the verge of turning their season around, the SC Cobras are once again heading in the wrong direction, GM Murphy’s snakes now trailing the Bluliners and their Week 2-best score by a chunky 23.3. Badger Bob outpointed the Ice Cats 15.2 to 14.0 on Saturday, GM Chester’s crew poised to pounce on Sunday, the defending champ trailing their first win of the season by 1.0. The Ice Hogs were the beneficiary of a 17.0 point Saturday, the 2nd place team gaining 6.0 points on the Boulder Flyers, GM Henry’s Probert-best pigs now leading by 3.9. The Vegas Vipers will soon be 2-0, the first place team having their way with the concussed Junction, an 18.1 point Saturday placing the Vipe 22.1 points in front.